Keeping up with the changing times and exponentially increasing information available on the internet, Google is revamping Google News. Since there are countless ways to get news now, such as tweets and videos, Google is amalgamating all the new products into one experience. The revamped Google News will employ AI techniques to process the constant inflow of information as it comes, analyze it in real time, and categorize it in storylines. This way a story will be evaluated as it evolves and Google News will be better able to understand and report how places, people, and things are interconnected in a particular story. The AI techniques will help Google to blend information and present it in a way that’s easy for you to understand. 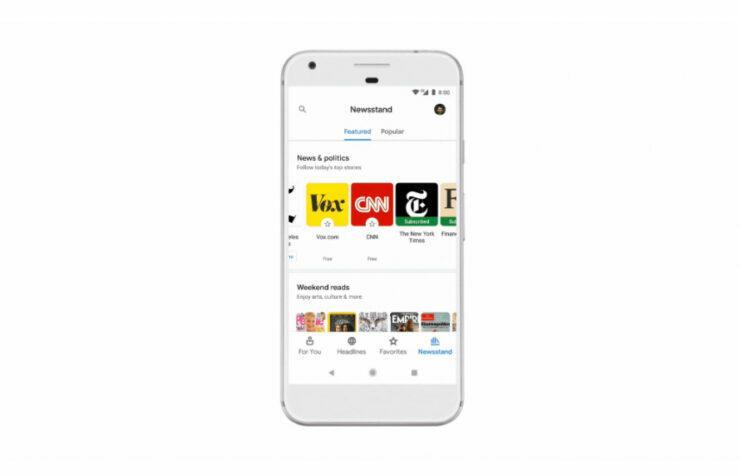 Google will also customize the news experience based on users. When using the app, the ‘For You’ feature will make it easier to find all the topics a user follows in one place. It will begin with a briefing of five stories that Google News will curate. It will be a collection of important headlines, developments, and local news. The more the app is used, the better it gets at customizing the timeline. Google has also developed controls that are easy to use and access so users can decide which topics or publishers they want to see more of. The app will bring stories to life with images and videos from YouTube and beyond. As of now, Google is testing a format called newscasts to speed up the process. Over there, users will be able to see the latest developments on a particular topic, including video, articles, and quotes. Newscasts will make it easier to gain a perspective of the story and it will be easier to view on the phone.